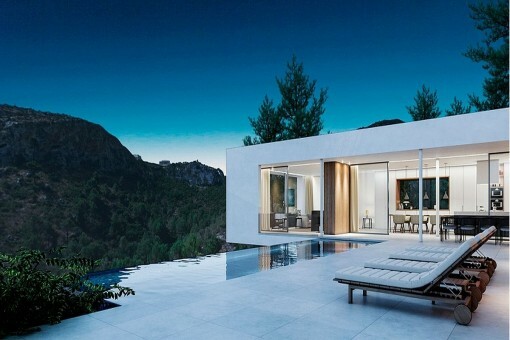 This wonderful villa with approx. 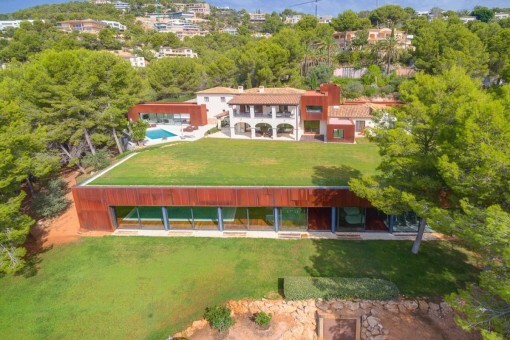 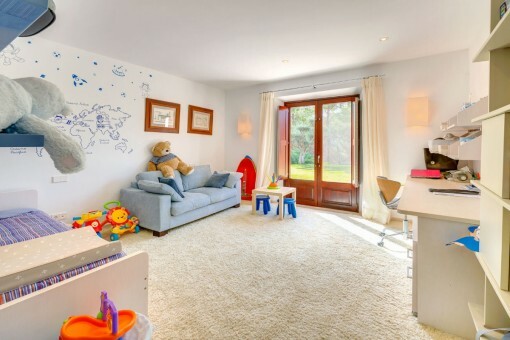 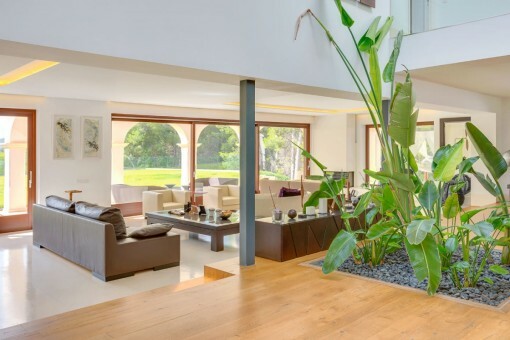 1.000 sqm living space stands on land of 8.170 sqm and is situated in the most exclusive residential area of Palma, adjacent to one of Son Vida's 3 golf courses. 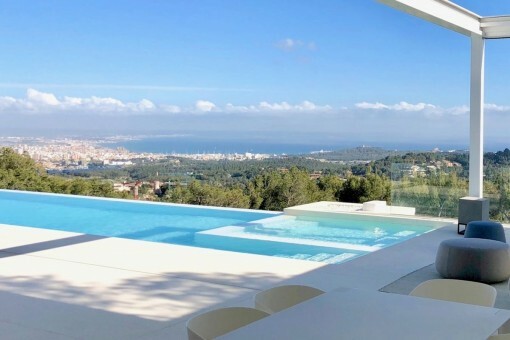 It offers absolute privacy and part sea views. 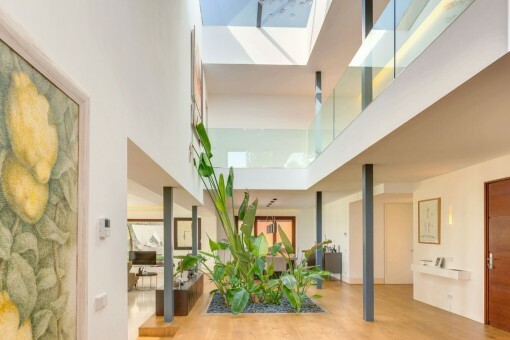 The light-flooded house was built to the highest construction and equipment standards with 3 floors. 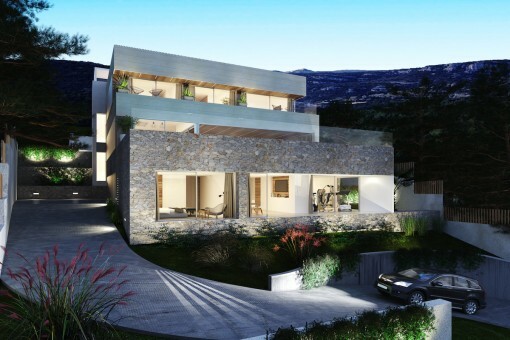 On the ground floor are 3 bedrooms, and the main bedroom takes up the whole of the upper floor and has 2 bathrooms, 3 dressing rooms and its own terrace. 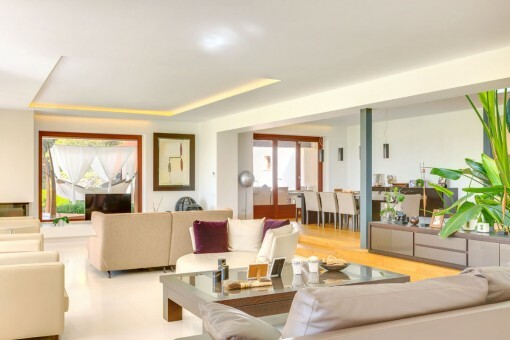 On the main floor is a large kitchen and a huge living area of 110 sqm which has access to the extensive terrace landscape and swimming pool. 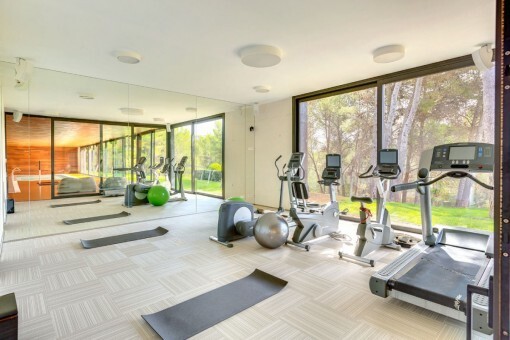 The lowest level houses a large fitness area of 250 sqm with sauna, jacuzzi and a beautiful indoor pool. 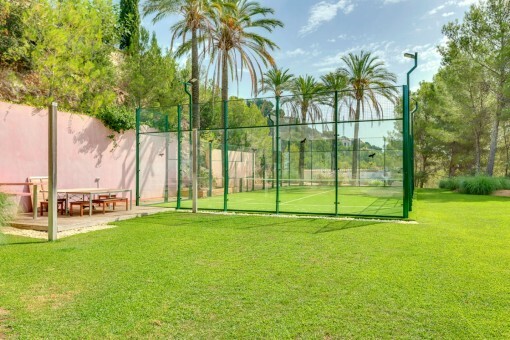 The villa also has a paddle-tennis court. 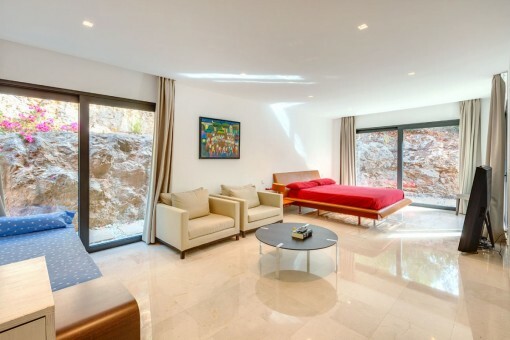 Also on the property is a separate guest apartment with living area, kitchen, a bedroom and a bathroom. 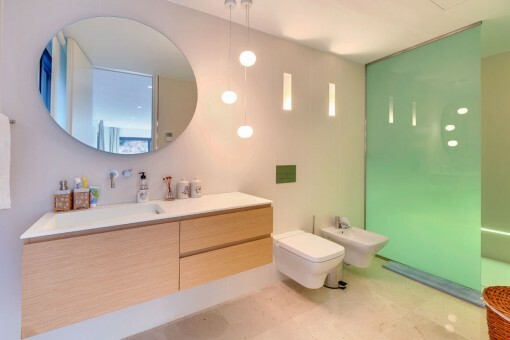 Further features include modern amenities such as underfloor heating, switchable air conditioning, LED designer lighting and a house-automation system. 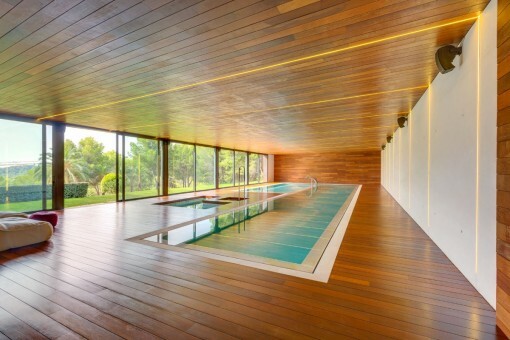 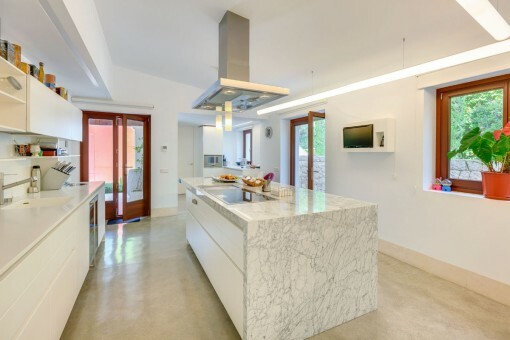 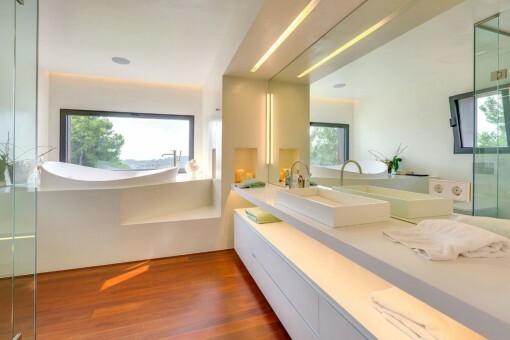 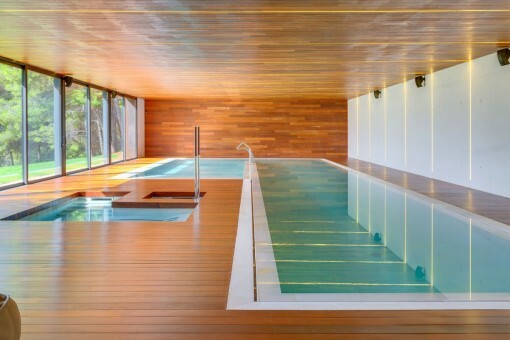 I'm interested in: Modern dream-villa on a large plot with indoor pool in Son Vida (Objekt-Nr.077204). 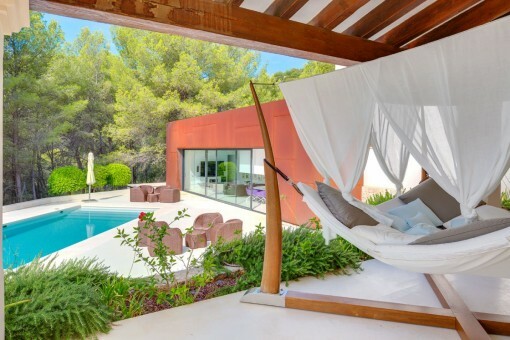 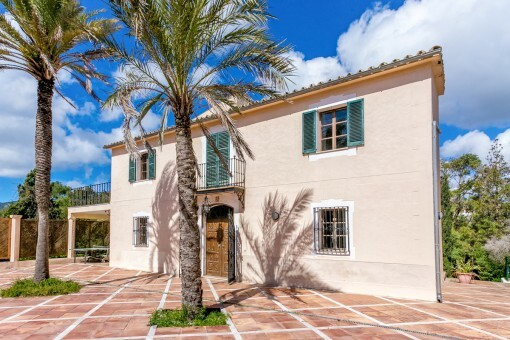 you are reading: Modern dream-villa on a large plot with indoor pool in Son Vida-purchase · Porta Mallorquina Real Estate Rating 4,8/5 by 200 testimonials.